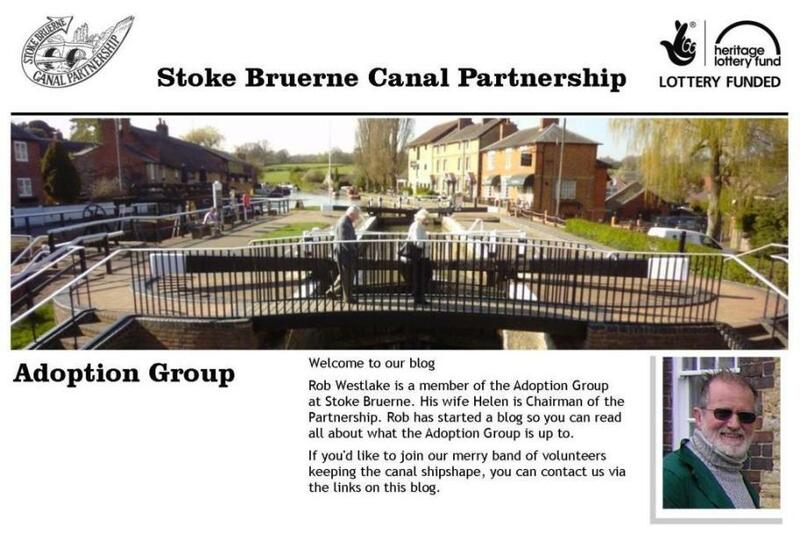 The Adoption Group had spent a couple of days last year working around Lock 15, clearing back the vegetation and replacing sections of rotten arris rail around the side ponds. The overgrowing foliage around the brick built ‘Ash-Box’ at Lock 15 had been trimmed back and the adjacent section of brick wall exposed for the first time for many years. The hedge and ivy had again completely engulfed the area again, so this was cut back and a long section of the adjacent brick wall cleared of ivy. The Ash-Box was excavated and entangled roots and debris removed – including an engine flywheel and other unidentifiable metalwork. The remaining soil was dug through and planted up with daffodil bulbs. These had been kindly donated by Young’s Nurseries at Blisworth. Initially we were given 4 trays – each containing about 150 bulbs. Bulbs were also planted under the hedge along the towpath back towards the village and around the trees on the offside of Lock 15. 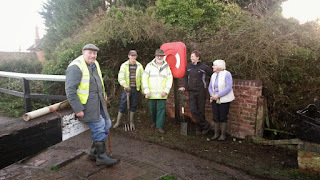 The towpath edging around the side ponds and the ash box was dug out – revealing quality edging bricks – which had seen the daylight for many years. 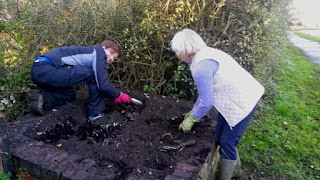 The following week, a couple of the team members meet again and planted another 6 trays of daffodil and narcissi bulbs. The contents of 3 were planted along the towpath and up onto the Woodland Walk. 3 trays of bulbs were planted around the trees either side of Lock 14 and the bridge and then along the car park side of the Museum Green.